Martin-Fernandez, M., E. Muñoz-Moreno, L. Cammoun, J-P. Thiran, C-F. Westin, and C. Alberola-Lopez, "Sequential anisotropic multichannel Wiener filtering with Rician bias correction applied to 3D regularization of DWI data", Medical image analysis, vol. 13, no. 1: Elsevier, pp. 19–35, 2009. 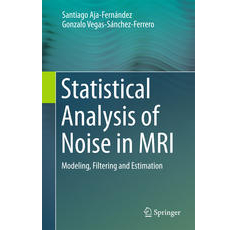 Aja-Fernández, S., C. Alberola-Lopez, and C-F. Westin, "Noise and signal estimation in magnitude MRI and Rician distributed images: a LMMSE approach", Image Processing, IEEE Transactions on, vol. 17, no. 8: IEEE, pp. 1383–1398, 2008. Aja-Fernández, S., R. San Jose-Estepar, C. Alberola-Lopez, and C-F. Westin, "Image quality assessment based on local variance", Proc 28th IEEE Int. Conf. Eng. Med. Biol. Soc. (EMBC), pp. 4815–4818, 2006.